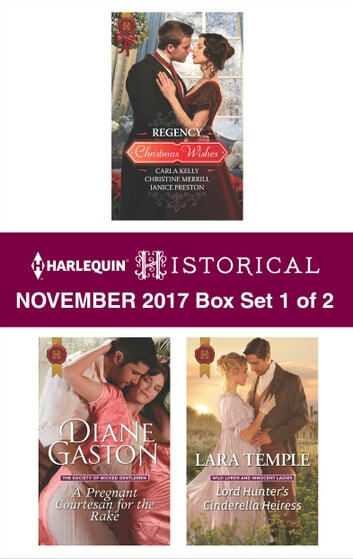 Dare to dally with a captain, a rake and a gentleman in these three Regency novellas of Christmas wishes come true, all in one festive volume! Oliver Gregory discovers the woman he shared one passionate night with works at the gentlemen's club he partly owns—and she's pregnant! To legitimize his child, Oliver will ensure Cecilia returns to his bed…as his wife! Look for Harlequin® Historical's November 2017 Box set 2 of 2, filled with even more timeless love stories!